The first book a child ever reads may be a board book. She’s reading its shape, its form, its weight, its texture, its size, its pictures, and even its taste. Early learning concept books for ages 0-3 are hugely important because they are often the first books a baby lays their beautiful eyes and hands on. So I think about my reader and all their senses when I create my books. Note that I say “create,” and not “write” or “illustrate.” I think about the WHOLE book, and how the concept, the art, the text, and format will work together as a package. I know this isn’t a book recommendation, but it is important! Consider what makes this toy appealing, and how you could bring those elements into a concept book! 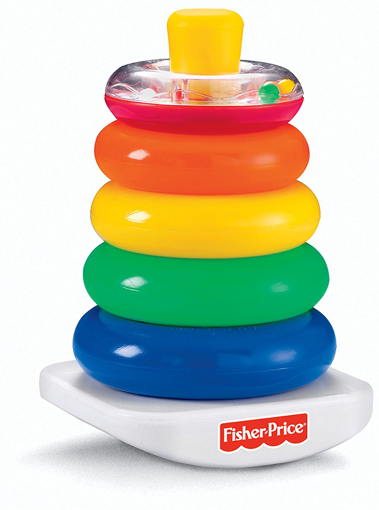 Consider other favorite toys for babies and see what they inspire. Note the simple geometric design and bold primary and secondary colors that on its own would be abstract, but together make a picture. Deceptively simple, but genius design in both the illustrations and layered die cuts. Plop a young child in your lap. It would be rare for her to sit still and simply watch the book. She will reach out to touch and feel, and depending on her age, put it in her mouth, too! The WHOLE child actively explores each book. In Katz’s signature style and lift-flap peek-a-boo format, she charms us with her adorable babies with fun textile-like collage and mixed media work. Oh, how did that get in there! That’s my book! But I want to point this one out for its unique sliding disc format that moves back and forth in a hidden track when you rock the book side to side. The mechanic was inspired by the simple mechanic in the game, Connect Four! This unique board book with die-cut illustrations have opposing pages with die-cuts that fit together almost like a puzzle when closed. Fun to touch and feel the edges of the die-cuts while giving it an added dimensional quality. Millions of these have sold! 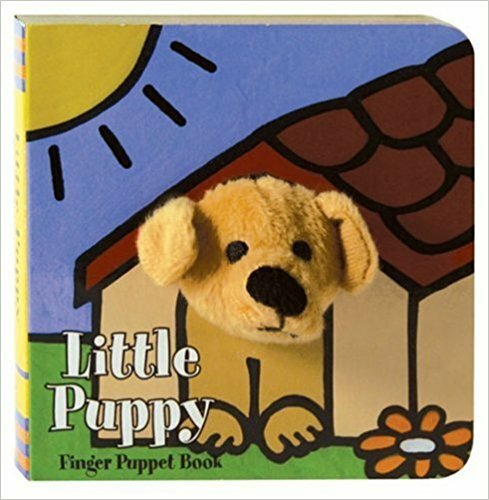 Cute plush finger puppets attached to each chunky board book make characters come to life as you read and play with the puppet. Giant lift-flaps and super cute art style make this a winner. Babies and toddlers are attracted to faces, and boldly illustrated ones like these will grab their attention. 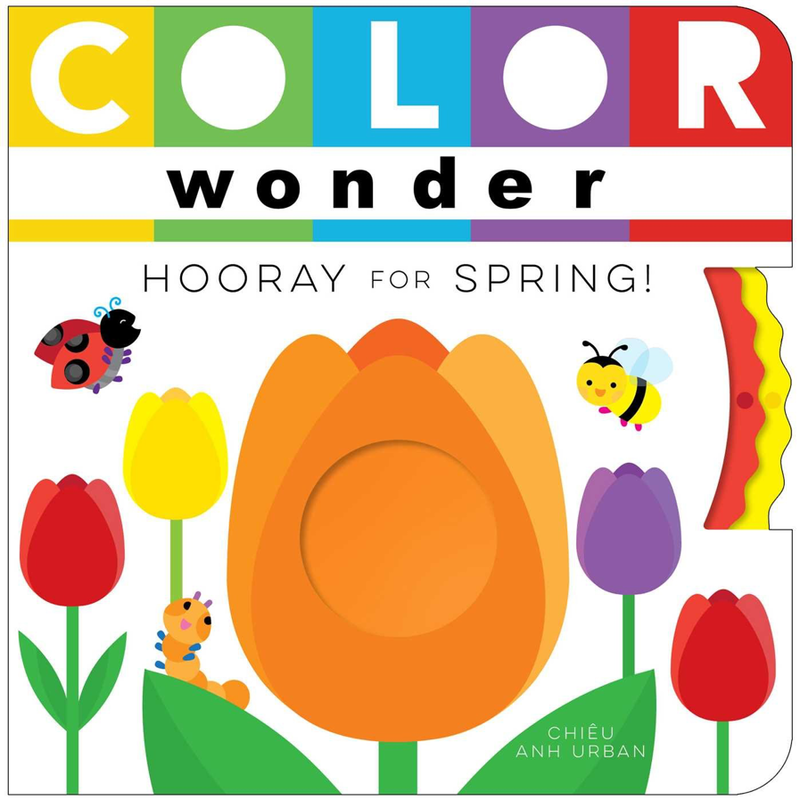 Another gorgeously illustrated page turner packaged as a funky, chunky peek-a-boo board book. Movable wheels add an extra layer of interactivity in this fun, colorful book full of wonder and surprises. 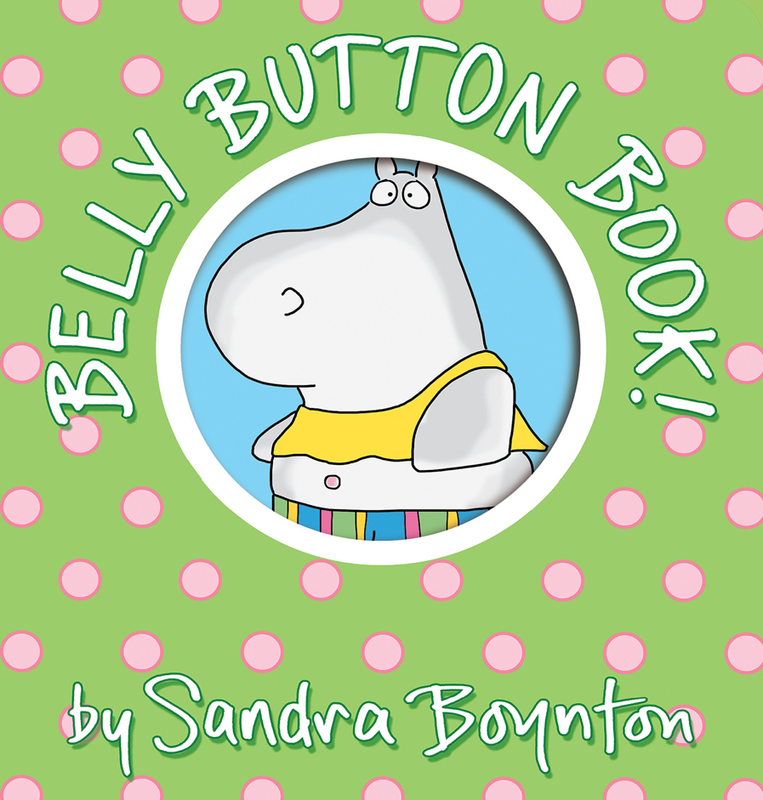 You can’t have a post about concept board books for babies and toddlers without including a Sandra Boynton book! Charming, clever, and always funny! Her sense of humor and witty illustrations make these books a stand out. What do all of these books have in common? They are all simple in design, colorful, bold, stylistically unique, concept driven, and interactive. The fun of these books will draw its readers back to them again and again! Salina is giving away one copy of her bestselling early learning books: DO COWS MEOW, published by Sterling, and DINOSAUR DISCOVERY and BUG HUNT, also by Sterling. To be eligible for prizes throughout the challenge, you must comment on each post, be registered by March 4, and consistently read picture books throughout the challenge. 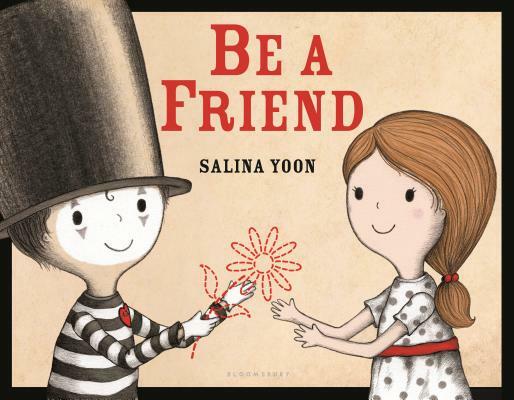 Salina Yoon is the author and illustrator of over 160 books for children with over 3.5 million books sold worldwide. 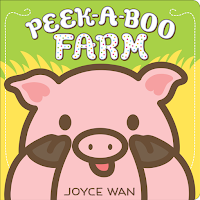 Her visibility and name recognition continues to grow, with four of her PENGUIN series picture books (Bloomsbury) currently available in mini editions with Chick-fil-A children’s meals. As the Kohl’s Cares featured author for summer 2016, seven of her books and four plush animals based on her characters, were sold nationwide in Kohl’s stores. You can read more about Salina and her projects at www.salinayoon.com. Her next concept board book will be out with Random House Penguin with WHERE’S SANTA BOO? In the fall of 2018. I love your idea to look at toys for inspiration. What a great way to remember the emotional world of childhood--even when writing for older readers. Thanks, Salina! Toys have inspired many of my novelty books! It's one of my favorite places to browse, next to a bookstore. Thanks for reading, Sharon! 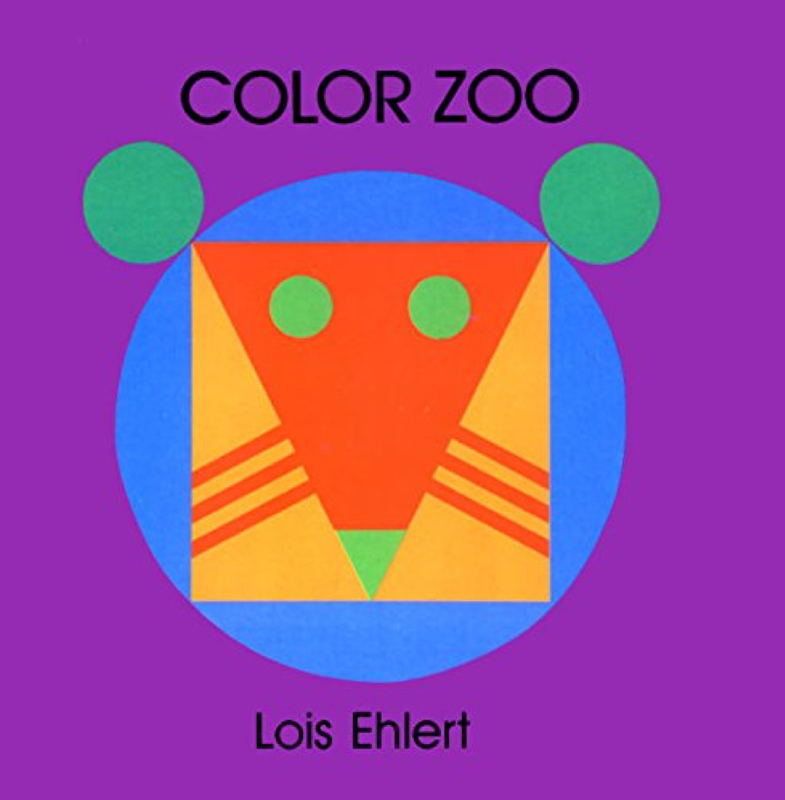 I love Color Zoo. The way the shapes, colors and cut outs are layered reminds me of another favorite-Go Away Big Green Monster by Ed Emberley. Go Away Big Green Monster is brilliant on so many levels! I'm betting you can appreciate the complexity of these formats! My KALEIDOSCOPE book has layers of die-cuts, too. The pages have to work individually and collectively. So tricky,... but so fun to create! 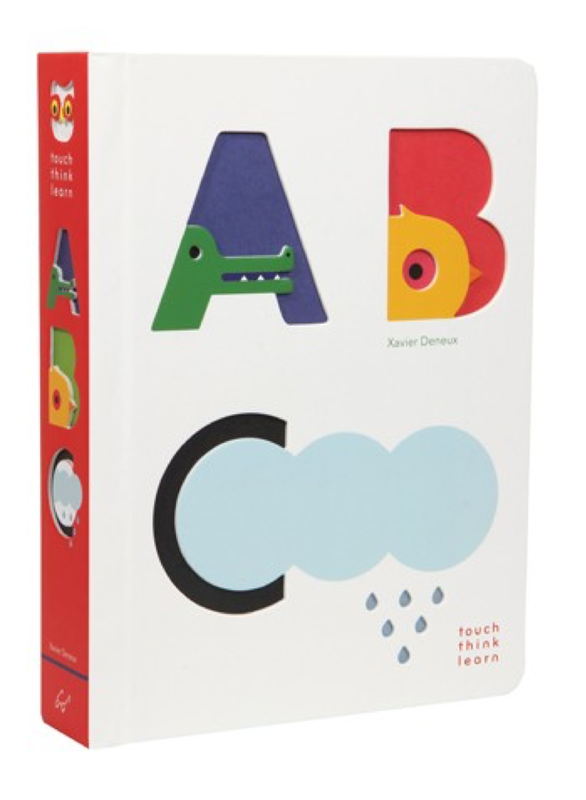 Such a great collection of board books and their importance. I love novelty board books for their uniqueness and clever little twists! So fun! Thanks for reading! What a delightful collection of books! As a new grandma, I have enjoyed reading many of these over and over again, and I have new books to look for. Thank you, Salina. Thank you Salina for your great contribution to the children! Board books are an important ingredient. Great post and reference! Great choices for mentor texts. 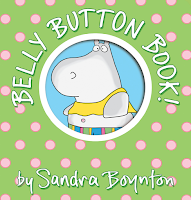 Sandra Boynton's " But not the Hippopotamus " is a personal favorite for its humorous language. I'm glad you like these selections! I know it's more typical here to share more currently published books, but in the world of novelty board, the classics, the ones that stand the test of time, are the ones that are the BEST to follow. Most novelty board books don't get more shelf time beyond one or two seasons,... but the stand out ones get reshelved over and over again! Thanks for this post, Salina. I love board books. Kids love board books. I had nursery duty at our church yesterday and read board books! You've given me the pinch to try writing one or two. Now where will I begin?!?!?!? For board books, series and concepts (with a unique twist) are best! When you see stories in board books, they are likely board book editions of originated hardcovers. So if you're interested in writing stories, pitch it as a traditional PB. But if you want to create novelty board books, think fresh concept! Good luck and have fun! Thank you Salina. I have noticed that all of these authors, like yourself, are author-illustrator 'creators'. As you say - "I think about the WHOLE book, and how the concept, the art, the text, and format will work together as a package." It doesn't seem that this young child audience is a good place for those of us who are wordsmiths with little artistic or visual talent. It is more challenging to not create the whole package when submitting it, yes, BUT it's not impossible! There's a lovely novelty book titled, "Fortune Cookies," written by Albert Bitterman, and illustrated by Chris Raschka. It's a beautiful little concept book with a great message. When the text is just too brilliant to pass up, the publisher will find an illustrator to bring it to life! There are other examples, too, but this is a good example. Also, Ruth Spiro is an author-only, and her board books have received a lot of attention at B&N. So clearly, it can happen!! What a fun post, Salina! That is so true that young children experience books with ALL of their 5 senses. I love your books. Lots of fun here today! Great suggestion on using toys for inspiration. Thank you. proof you have thought about a lot of other things then just a story, sales, concept toys and market places. thank you for the encouragement to think deeper. Yes... so much more to think about than story and art when it comes to novelty books! It's challenging on multiple levels, but the satisfaction of publishing one (or two, or three---since most novelties come as a series!) is so worthwhile! Thank you, Rita! Creating a novelty book is such a different experience from writing books like FOUND for me. I feel like they almost use different muscles, and require such different revisions! I'm glad you see the difference! May it spark an idea! Hi, Salina! I love your creative books - all of them. Thanks for sharing the variety of board books on the market now. I still have a copy of Pat the Bunny from when my boys were little. Oh boy,... Pat the Bunny is a true classic! Love it. Thank you, Manju! Thank you. I never realized how much goes into creating a board book. Thanks for reading, Rose! It is SO complex in some ways, so simple in others. I've created novelties in less than a week, built the sample, and sold it... while picture books often take MUCH longer to draft and get ready for submission. I love both formats, and it's nice taking breaks from using different parts of my brain! There's a lot of mechanical and production issues with novelty board books that picture books never have. Thanks for reading! Creative and fun! Thank you for this post! Thank you for reading, Mia! What a great concept--toys as inspiration! And your color book looks so creative. Thank you for this post! It is my pleasure, Elizabeth! Thank you! I think concept books are intricate and daunting to create well. You have shared great lessons and provided so many great examples. I can't wait to study these! Thank you for a great post. Thank you, Kate! Concept board books are often seen as "easy" to write due to the low word count and few pages, but when you start to create one, you see how complex they can be! My nieces have babies ages 0-2 right now, so these board books you mention are a tremendous help in choosing books for them. Salina, your new stack book will,be a hit with them because that's their favorite toy! Two of my son’s favorite interactive board books when he was a toddler: PAT THE BUNNY and THE VERY HUNGRY CATERPILLAR. I remember how he’d love to sit on my lap and poke and feel the different textures and die cut holes. Even though these classics are still great board book choices for kids, I love seeing all the innovative ways BBs have evolved. Thanks for these great suggestions, Salina! I love the ones you mentioned, too! The Very Hungry Caterpillar is especially brilliant. In it, Carle has several concepts: days of the week, names of foods, colors, the metamorphosis of a caterpillar, and a compelling story in one, not to mention the brilliant interactive die-cuts! It's one of my favorites! Terrific post, thank you. I love concept books and seem to be drawn to writing them often. I appreciate your thoughts on using toys as inspiration. Brilliant post, thank you for the inspiration! Kids are not just tiny adults. They are sensory magnets. I love that you approach books in such a way. Thanks, Salina! I love how you put that. They are sensory magnets! Yes, indeed they are,... and little sponges, too! Reading books to babies and toddlers trigger brain development, and they absorb so much! Spending time with little ones definitely help to inspire books for them. I created TONS of novelties during my baby and toddler years! I was always playing with their toys along with them, so that in itself triggered lots of ideas! Concept books are a great way to show kids to the fun of reading. Thank you for this wonderful list, Salina! Wonderful titles and fun for all ages because they catch your eye and draw you in! Thank you Salina! What a perfect set of texts to remind us of the importance of the basics, which is a concept we can apply to older reader PBs as well. Thanks, Salina! That is absolutely true, Val. Concepts CAN be applied to older reader PB's! Some of my favorite concept author/illustrators include: Michael Hall, Lois Ehlert, Laura Vaccaro Seeger, and Denise Fleming! So much fun! Thank you for sharing! Great collection of board books. I've often wondered how one would approach writing a manuscript for a board book. Any thought on that? It would be best to visualize your idea, even with loose sketches! Now... if your idea can work in a traditional/flat picture book format (32 pages), then illustration notes are fine (if they're needed). But for novelty concept board books where there are interactive elements, these should be explained visually. Again, they don't have to be nice drawings as long as it explains your idea in a clear way. If it is brilliant, the editor will find an illustrator to complete the vision. Check out: Fortune Cookies, written by Albert Bitterman and illustrated by Chris Raschka. You'll see that this was an un-turndownable manuscript, so it was paired beautifully with an illustrator. If you see this book, you'll see the interactive element is a pull-out tab. This can easily be explained with a note, or a sketch. Thank you for your insights, and I'm a huge fan of your book, Penguin and Pinecone! Thank you so much, Michelle! 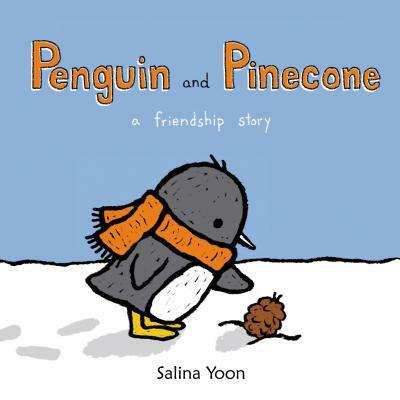 Penguin and Pinecone was my first published STORY I'd ever written! So scary! I was far more comfortable with novelties. Picture book writing is a whole new world, and still challenging (and super scary) for me! Lots of great examples here. So glad you included Sandra Boynton. She's my favorite in this category! The characters in your books are so charming, Salina! Thanks for sharing the elements of a great board book. Inspiring! Salina, thank you for the way you inspire babies, children and adults. 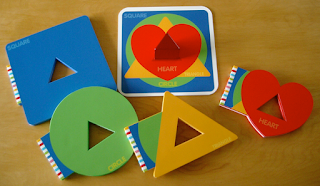 This post has challenged me to look at board books from a new creative perspective. It was very interesting to me how you looked at popular children’s games to get some of your ideas for interactive board books. Thank you, Brenda. I also got the idea for my very popular DO COWS MEOW from a puppet! I would open the puppet's mouth to teach my babies their animal sounds,... and that later turned into a lift-flap idea for an animal sounds book! These are great recommendations! I so agree with you about creating the whole book with the reader in mind - the shape, texture, colors, text (word choice, font, rhythm, etc) all combined with how the child and reader interact with the book. Yes, babies and toddlers are especially so sensory-driven that it's important to think about this when creating books for them! Fun post! Thanks for sharing a great assortment of reasons for kids to learn to love books. THANK YOU, Robin!!! I'm so glad you love BE A FRIEND. This immediately tells me a lot about you. (You're kind, empathetic, a good friend) Blowing you an imaginary kiss... and I hope you catch it! Thank you so much, Salina! Thank you, Salina! As my own toddler explores these types of books, I have grown in my appreciation for their simplicity and charm. Thank you for helping me to think beyond writing books. Now, I’m wondering how to create an interactive experience with books for the very young. Your books and your examples are wonderful. Thanks so much, Jessica! When you play with your toddler, see what he/she responds to! My toddler loved puppets, and laughed whenever I made an animal sound. That inspired DO COWS MEOW and DO CROCS KISS? They are lift-flap books where the mouths open up... and inside, an animal sound of course! You are probably surrounded by inspiration. You just have to be receptive to it. Love these examples. Makes me long for the days when my kids were much, much younger! Thanks, Salina. Thank you, Lori! When I create books for babies and toddlers, I feel like I'm still connected with them... even though my kids are in middle school now! Most of these weren't available fro my library but I did get "Where is Baby's Home?" Very cute! The idea of books inspired by toys, and just as captivating as toys, is so brilliant. Thank you for this collection! 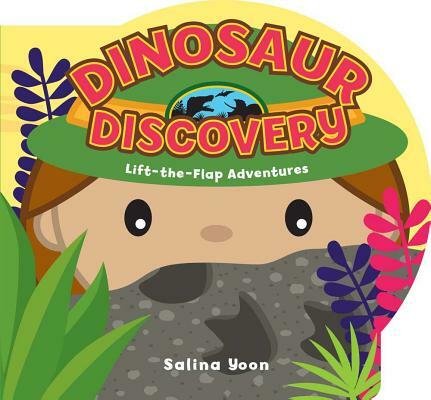 What a prolific author illustrator Salina is. I love her posts when she does author visits to other cities. Thanks for showing us examples of simply written and illustrations board books. I still love board books even though my children older elementary aged kids. I love these samples and some are new to me. Thank you! My boys are in middle school now, but I still love creating board books for young ones! Simple! Yes! Such great advice, Salina. Kidlit writers sometimes get tangled in words...we love them so much. But when it comes to board books, less is definitely more. ;) Great post! Thank you for giving us an insider's peek into what makes these books such brilliant "creations!" I am definitely looking at them in a much different light--particularly the incredible imagination that goes into their "architecture." Great post:)! Well said! Let’s be honest, even as an adult I love to touch and feel and lift the flaps. Thanks for some wonderful mentors. Books inspired by toys and games...brilliant! I have so many more examples of toys inspiring books... like FIVE SILLY TURKEYS and DO COWS MEOW! Five Silly Turkeys is actually my biggest seller to date... more than 280,000 copies sold. What inspired it? A baby toy with crinkly sparkly fabric! 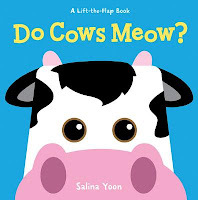 DO COWS MEOW was inspired by a simple hand puppet where you can open its mouth. In DO COWS MEOW, a giant lift flap opens the mouth of animals (with animal sounds beneath). Thank, Salina, for this interesting post highlighting some ideas I've never taken the time to examine! Awesome book suggestions, too. Thank you for your selection of mentor texts for board books and for your insights into their creation. I've fallen into writing board books since my son was born so these books and your insights were really helpful for me. I hadn't thought about how important it is to think about the WHOLE book and not just the words I'm writing. I've been spending some time thinking about novelty elements for some books I have that are coming out with Chronicle, but I only thought about the WHOLE book after it was acquired. Now as I move forward with new stories, I'll keep your insights in mind. Thanks! Congrats with your book with Chronicle!!! And yes,... once you open your mind to the whole book, you'll bring your ideas to a whole new level! Thanks for this list, Salina. I can vouch for the popularity of many of these with my daughter when she was young, especially the Katz, Boynton, and finger puppet books. 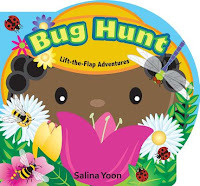 I'm excited to check out your BUG HUNT book - another wonderful topic! Thank you, Melanie! 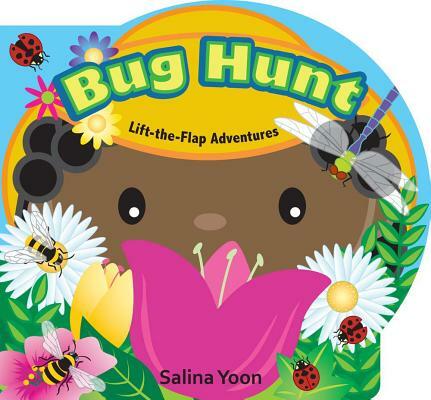 My Bug Hunt book is in a series with other non-fiction titles I created, and it's a good example of showing a different way to approach non-fiction for young ones! Also, the cover gets a lot of attention. For novelties, covers can make or break a book! I got my ADHD son to play with a board book in the shape of a fire truck with wheels when he was young. He didn't sit still long enough for me to read to him. He loved that "book." Book and toy combinations are fun. Thank you for the reminder. Wonderful inspiration in your books and post. Thanks so much. My pleasure, Beverley! Thank you. I was so excited about this post that I started reading my board books yesterday! Wonderful post about a category of books that seems to call for something so unique! I love the examples. And, 160 books? Wow! Love thinking about board books...thanks for sharing! Thank you for pointing out specifically what to look for with each title. That's so helpful. Wish authors-only could do board books only. (I mean, I know they CAN, but it's almost always author-illustrators.) They are so much fun! 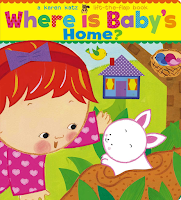 I saved 3 books that my kids loved interacting with for future grandbabies: Don't Cry Baby Sam by Harriet Ziefert, plus two by Shelagh McGee:This Little Piggy, and Two Little Sonbirds. Many memories of tiny hands and feet on well worn pages! Thanks for the new titles to add to my collection of treasures. Ah, yes,... Harriet Ziefert is wonderful!!! Thank you, Carmela! Board books are certainly becoming more interactive! Thank you for introducing some of these new formats! Board books are so important as young ones are learning basic concepts. I appreciated the variety of books in your post. Great insight to get inspiration for books from toys and games! Now can I figure out a way to create a board book with my limited artistic abilities??? Thanks for the post. If you can visualize it, you can create it with loose sketches! You just need to communicate the idea well enough so that the editor understands it! While most concept books are art-driven, the concept is just as important! Think up a unique twist to an old concept, or think up a new concept entirely! Have FUN! I can see why each of these books would hold a young child's attention. 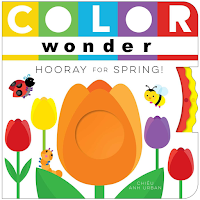 What a fun and colorful group of interactive books. Thanks, Salina, for introducing us to them. Awesome selection of board boards. 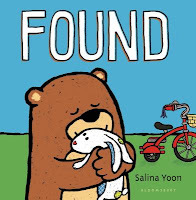 Salina, wishing you continued #kidlit success. I've heard you speak at our local SCBWI chapter about drawing inspiration from your environment and love how you manage to turn toys or other objects into books! What a wonderful choice of books and all-around great post! Thank you, Salina! Fun books that you can play with! YES, that's the idea, Sue! Thank you! Here's another book of mine that is a book and toy in one, called: KALEIDOSCOPE! Board books are wonderful! Thank you for sharing a few I haven't seen. I love seeing my nieces and nephews taste the books I give them. It's the beginning of a wonderful relationship! I'm going to have to find Rock and Roll Colors at the bookstore. Thanks! Thank you, Michele! Most bookstores don't stock this copy because it's older. But I believe it's still in print! Love the design of these books! Illustrators and book designers never cease to amaze me at their creativity in presenting the world to children in a bound format. 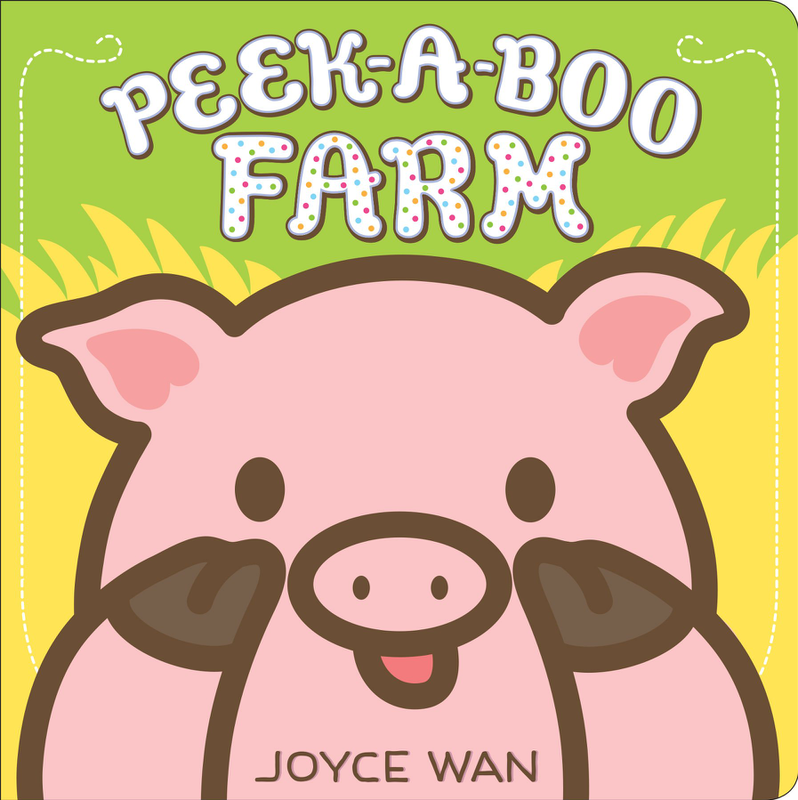 I especially enjoy Peek-A-Moo. My son is the perfect age for board books, so it was fun reading through these and seeing which ones he gravitated towards the most. That is a great title! And enjoy your little one!!! How fun! I enjoyed this post, Salina. 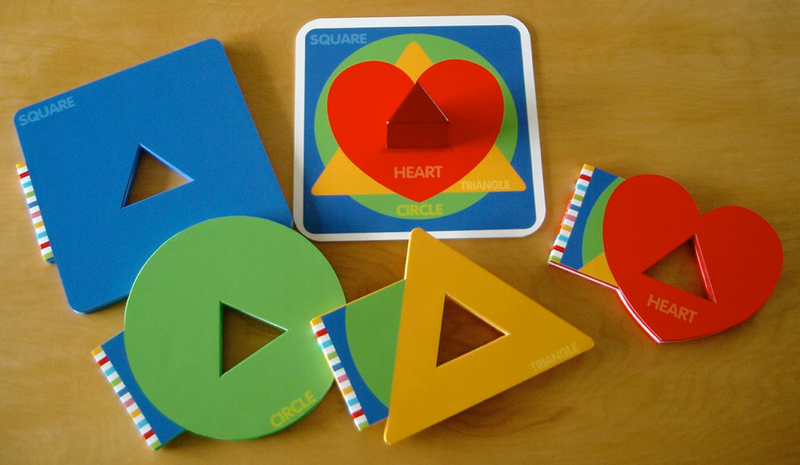 Stacking Shapes is an ingenious little set! Thank you for this post! I definitely need to work on considering the whole package and not just words, so appreciate having these vivid examples. Thank you, Lisa, and best of luck! Try browsing through a toy store, or the toy section. See what inspiration might come! Salina, I've never thought about this kind of project. Thanks for the nudge! Salina, thank you for sharing these amazing concept books! So much fun to be found in toys. Thanks for this super informative post, Salina. I love your idea of considering how popular toys appeal to children as part of your research. And THE BELLY BUTTON BOOK was one of our all-time favorites when my kids were little. Babies and toddlers really give us all the clues to what would make the best ideas! Just pay attention to how they respond to things around them,... and it will trigger an idea! It has been a while since our kids were young enough for these books, and I had not kept up with the market. Thanks so much for this fabulous list! Thanks, Susan! These are not new books, but important ones to show the best of the best! I work with very young children and the simpler books can engage them to get ready for longer books. Thank you for your insight and post. How lucky for you to work with young children! Pay attention to all the things they respond to--outside of books. They hold the key to the inspiration behind your next novelty book idea! ;-) Good luck! I love how these mentor text examples ideally convey the essence of the 'basic' book content to draw in children at such a young age. Many thanks for sharing! 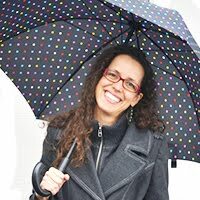 My pleasure, Meli! I'm excited to have such a captive audience! 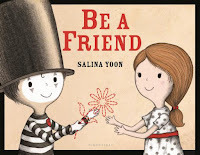 I am such a fan of Salina's picture books, and what insight to think of creative concept books and creative works of art- thinking about the whole package! Thinking about bringing elements of toys into a concept book is very enlightening. Thank you, Melissa! Here's one more example of a book that was inspired by a toy. Can you guess which toy? Thanks for the fun list! I love board books and concept books. You highlight wonderful examples of all that can be done with them. Thank you, Salina. Penguin and Pinecone is a favorite. Great post, Salina. Whether we try composing a board book or just appreciating them it is an important genre of children's lit to be familiar with when writing other types! Thanks. SALINA: I feel like all of my senses have been awakened to a new level of creativity by reading your post! THANK YOU for the INSPIRATION to think of book making as a WHOLE CREATIVE PROCESS, not just a written form. Also, the reminder that our youngest "readers" are more sense-driven is HUGE! To TRULY reach this audience, we MUST take into account ALL the senses--even taste! WONDERFUL! I also LOVE that the inspiration for your books have come from simple games. You have TRULY INSPIRED me today. THANK YOU!!! WOW!!! Thank you, Natalie!!! I love it when people "get" it! Novelty concept books are actually so complex on multiple levels, but they are incredibly fun to create! Also look at the multiple concepts in The Very Hungry Caterpillar by Eric Carle. What makes this so special? Examine it, and you'll see! He introduces colors, first words, days of the week, time of the day, the metamorphosis of a caterpillar as well as wrapping it all up into a story! Brilliant. Plus,.. the interactive elements! This post has made it clear to me that I need to pay more attention to board books! My life is complete now! :-) Thank you! So many people dismiss the import of this genre because of the few pages and low word count,... but they are in fact so important, and hard to create! I love the durability of board books! There are so many creative ways to put together concepts appropriate to babies and toddlers. Thanks for sharing this list!!! Once again my librarians appreciated seeing books come to me they hadn't seen before. They loved ABC and put it on a must get list. The books we choose through our library and request can have a great influence in bringing attention to great books, especially from under represented authors and illustrators. These early concept board books are so much fun! And not just for babies--I find they help adults when learning a new language, too. Yes, that's true! It can also be appropriate for kids with developmental issues. I was surprised how few of these books I could get through the Los Angeles Public Library. That said, I loved the ones I was able to find. The design elements in both ABC and Color Zoo are genius! This is not uncommon, Carolyn. Most libraries don't carry many novelties (if any at all) because they can get damaged. Toddler-aged books don't last long from the chewing and handling of them, so most parents just buy their own copies. What fun books! I can tell that the ones I checked out from the library have been well loved! Ha, yes, they often are! Thank you for sharing these titles and your insights into early concept books! Toys as inspiration. Love that! Thanks for the list of board books. I’ll take time to read and consider buying one. I love to give them as baby gifts. I loved the Peek a moo/boo books! Thank you for your post. It's amazing to see how much thought goes into creating board books. Thank you for such an insightful post, Salina. Love your insight into what makes this list of BB work. Thank you so much. First I have to say I love your books! Such an interesting fun post. So true my kids first personal favorites were Sandra Boyton and Karen Katz among other classics. And it was fun for me too! Great examples, thank you! I enjoyed board books along with my kids. Looking forward to reading these. I appreciate the reminder that almost anything, including toys, can provide inspiration for writers. Great selection of books for today’s post! Great variety in your list today. 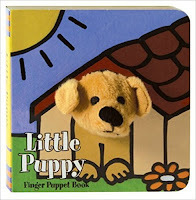 I love the finger puppet books! Interactive picture books are always big hits with younger children. I loved all of your selections but I especially loved "Color Zoo". I like that you said you create as opposed to write or illustrate books. It serves as a reminder to us to consider the experience we are creating for our readers, no matter their age. 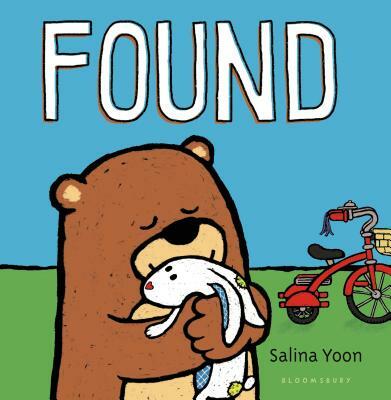 Thanks for reminding us, Salina, of what needs to be kept in mind when creating a board book. In my opinion there are many out there on the market that do not. Wowza...I know very little about board books. But your expertise has inspired me to learn more. Thanks for the great recommendations! When I checked out Color Zoo from the library, I instantly recognized it from 18 years ago. I'm pretty sure some of those teeth marks are from my kids! Love the die cuts and the magic they create when you turn the page. I also still have all the Baby Bug books-again teeth marks and all. My kids loved sitting on my lap and turning those stiff pages. Thanks for your posts and congratulations on all your success! I've thought about trying my hand at board books. Maybe today's the day. Love the idea of using toys as inspiration. 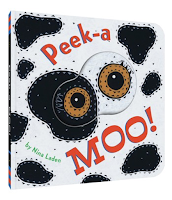 Peek-a-Moo was my son's favorite book and started his love affair with books in general. There is something really special about being able to tickle the fancy of the youngest "readers."